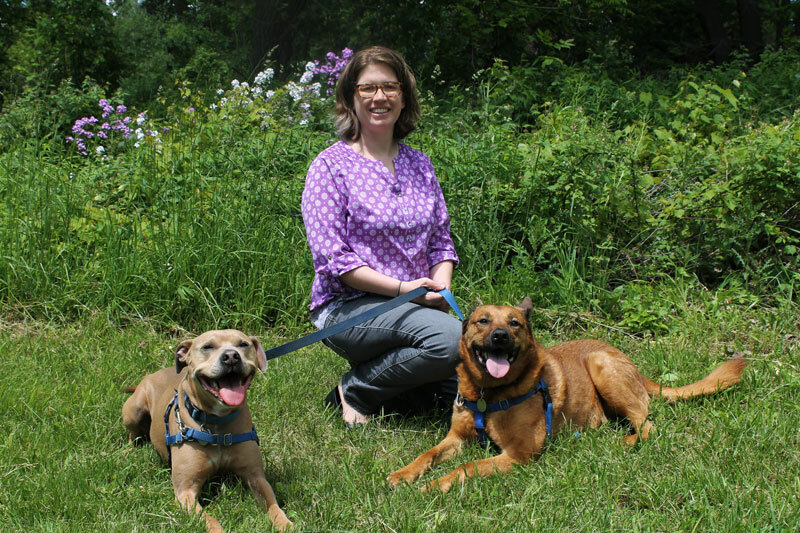 Dr. Christy Hoffman on her research on dog rivalry, how to increase shelter adoptions, and why Anthrozoology is such a fascinating subject. I spoke to Dr. Christy Hoffman (Canisius College) about her research on the factors that lead to a successful human-animal relationship. Zazie: I’m really excited to chat with you! I wanted to start off by talking about your recent study with Dr. Malini Suchak if that’s alright. Zazie: You were looking at rivalry and decision-making in dogs and you decided to investigate this by looking at dogs that already know each other and in their own homes. Why do you think it’s so important to study canine cognition in the dog’s familiar environment and with dogs that they already know? 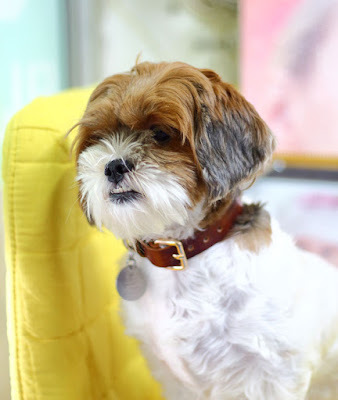 Christy: Well, we wanted to do that because, based on our understanding of dog behaviour and experience, relationships are really important when determining kind of the competitive nature of dogs. Because it often depends on who the dogs are in relation to each other, who’s going to be more competitive, rather than necessarily being an individual characteristic of a dog. Both of us have primate research backgrounds so we realize that relationships are really important and context is really important when looking at competition between animals. And so that's why we really wanted to test dogs in relation to dogs they already knew and spent a lot of time with. And then in terms of studying the dogs in their own homes, we felt like we would have a better chance of getting an understanding of the dog’s typical behaviour in being able to study the dogs where they’re most comfortable. I’ve done studies that have brought dogs to the Canisius College campus in the past and they did fine in the study, but we definitely had to take time to get them acclimated to the environment and all the new smells and new people. And so by studying the dogs in their own homes we could kind of avoid all those potential confounds. "So within a household, one dog might care more about human attention and the other dog might care more about food." Zazie: Brilliant, thank you. So in this study, one of the dogs saw the other dog approach a plate and eat the food, and then they had a choice of whether to go to the same plate which is now empty or another plate which has food on. What would you say you found? Christy: Well within the household some individual dogs were classified as low-rivalry and some as high-rivalry and that was based on James Serpell’s Canine Behaviour and Research Questionnaire, which the dog owners completed before they even knew anything about the study that we had planned. We just said this is an online survey. And so we could split these dogs into these two categories, and we found that dogs that fell into the high-rivalry category were more likely to go directly to the plate that still had food on it, compared to the dogs that were low-rivalry who tended to first check out the plate that the other dog’s already eaten off of. So that plate had no food. So it doesn’t seem like necessarily a very smart decision, however those low-rivalry dogs still were able to access the food. We weren’t trying to train them to go to an empty plate or a full plate, we just wanted to see what their natural inclination was. And we also found that this difference disappeared though, when we gave dogs a chance to think about it or a chance to process what was going on. So the low-rivalry dogs tended to kind of follow if there was no delay between when the first dog took the food off the plate, walked round the corner out of the room, and we let that low-rivalry dog approach the plate. If we only had that dog wait 5 seconds before approaching the plate, then that difference between the low and high-rivalry dogs disappeared. Zazie: I think that’s really interesting. And you did it with dogs and with a person, so you had the person take the food as well to see if the dog followed the person. So do you think the dog rivalry scale also relates to a dog’s relationship with people? Christy: Erm, I think potentially. So dog rivalry, the questions on the C-BARQ really get at aggressive tendencies between dogs that know each other that live in the household together. And there are a lot of correlations between dog-related aggression, human-related aggression as well. So others have found looking at the C-BARQ data, because the C-BARQ does have questions about human-directed aggression as well as dog-directed aggression. So certainly there could be that relationship there. And it may also relate to an individual dog, how that dog experiences the household. So the interactions with the other dog in the household and the humans as well might be affecting the dog’s tendency to follow. "...it kind of took me by surprise in the dog world that dominance might as well be spelled with four letters, rather than however many letters are in dominance." Zazie: Okay, thank you. I wonder if we could just clear something up for readers of the blog, some of whom are more used to hearing people talk about relationships in terms of dominance rather than rivalry. Rivalry’s not the same thing as dominance, is it? Christy: No, it’s really interesting. When looking at past studies of dogs’ relationships with other dogs and tendencies to follow, other studies have used the term dominance, and it’s a tricky word in the dog world. Coming from the non-human primate side of things where we talk about hierarchy and dominance quite regularly, it kind of took me by surprise in the dog world that dominance might as well be spelled with four letters, rather than however many letters are in dominance. Because it’s been really misunderstood and taken out of context, the term dominance, when we talk about dogs. And so while there’s still, at least in some groups of dogs, there’s still evidence of hierarchy, we really have to be careful when we’re talking about that word dominance. And what we found when we asked owners who they felt was kind of more the leader in the household, or which dog got his way more, it was really interesting that the owners consistently said that this was something that was inconsistent. So it really depended on the context. So they would say well, dog A is always going to eat first, but dog B is always going to run out of the house first when we open the door. Or Dog B is always going to be the one that barks at the window first, but dog A is going to be the one that interrupts me when I’m petting Dog B so that I can pet Dog A. So there’s a lot of variation in dogs. I think it goes back to variability within dogs about what they care about. So within a household, one dog might care more about human attention and the other dog might care more about food. Zazie: Great, thank you. So I also wanted to ask you about some of your research on shelters because you’ve done a lot of research about how shelters can improve adoption rates of dogs and also cats. If you were talking to shelter workers about this research, what would you most want them to know? Christy: I really would encourage shelters to use the data that many of them have at their fingertips, because a lot of shelters are using really great and powerful databases. So they’re collecting information about when dogs come into their shelter, when they leave the shelter, what those outcomes are – were the dogs adopted, were they transferred, did their owners reclaim them or were they euthanized? And they also are recording in these databases information about the dog’s age, the dog’s breed, the dog’s colour, some of them have information about the health status of the dog or the dog’s size. And if they’re able to use this information from their database, if they’re able to look at that it can really help them to decide where to focus their efforts and their resources, especially in terms of what dogs are they marketing, you know, and what needs to have priority in that organization. "Save the toy for the cat that really needs a toy in the picture with them." What my graduate students and I have found over the years is that when we do ask shelters for information, which many have kindly obliged us with that information, but it’s become clear that they don’t know off the bat how to access the information. Or it may take them some time because they’ve never actually down-loaded the data into an Excel spreadsheet before, or looked at the data in the way that we’ve been looking at it. And I think that that would be a very powerful tool for them if they were able to look at their data a little more systematically. Zazie: Definitely. So what kind of things do you think make a dog get adopted more quickly? 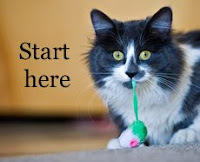 Christy: Well, from a study that a former graduate student Miranda Workman and I did together on cats, we found that if cats are photographed with toys in the picture they tend to be more popular on Petfinder, which is the site that we were looking at data from. And they also tend to be adopted more quickly. 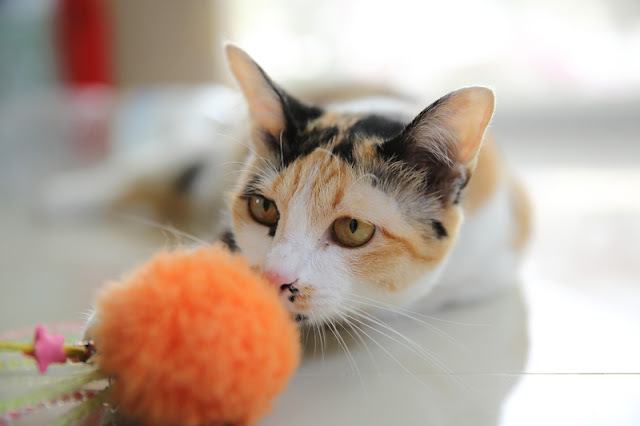 So if there are animals, particularly cats, that maybe don’t photograph well or that you have an idea may be sticking around the shelter for a longer period of time, adding a toy to the photo may help increase interest in that particular cat. I did hear though that one shelter at least heard about our study and they just started throwing a toy into all of their cat’s photos, but it kind of undoes the effect. Save the toy for the cat that really needs a toy in the picture with them. Zazie: So save it for the cats that need a bit of extra help. Zazie: I wrote about that study on my blog and actually that was a very popular post. Lots of people read that one and were very interested in that one, so that was very good. Christy: I really do appreciate how you’ve covered several of my studies, because I can’t usually afford open access fees to make the studies readily available to the public and animal shelters. And I certainly don’t want shelters paying $35 to read any of my papers, so I really do appreciate that you help take that to the public. Zazie: Oh good. I enjoy doing it and I think people don’t realize that sometimes with open access papers the researcher has had to pay a lot of money for that to happen. Another study that you’ve done, which I haven’t written about but I wanted to talk to you about, is you’ve looked at the factors involved in animal transfer programs where some shelters bring in pets from a long distance away. I was wondering what some of the lessons were that you found out from that study? Christy: One that really surprised us… well first of all it surprised us that there’s really not much literature, or any that we saw, on these animal transfer programs, which kind of inspired us to do this very exploratory, very preliminary study. I’ve noticed that over the past year or so some of the large animal welfare groups, animal advocacy groups, in the United States have been doing webinars and writing blogposts about best practices in animal transfer. Which I think great because from our very qualitative, very preliminary study, we were surprised that there is a lack of consistency across organizations in terms of what veterinary care they required the animals to have prior to being transported, and also what their policies and procedures were once they brought – the study focussed on dogs – once they brought the dogs in. "And so another key theme that came out from our study was the importance of honest, clear communication between the organizations that are receiving the animals and the organizations that are sending them out." Some of them had quarantine periods where they had the dogs separate from other dogs for a certain amount of time, but a lot did not, and not everybody even indicated that they required vaccines prior to transport. So there definitely needs to be more investigation, because it could be that the way we asked our questions, a lot of our questions were open-ended so maybe somebody just didn’t think to put ‘we require rabies vaccines’. But if they’re really not requiring a rabies vaccine, or other vaccines, that’s very, very concerning. Especially since a lot of the groups in our study are animal rescues that don’t have shelter facilities, so they are putting dogs in people’s homes into foster care. And without best practices in place that could make people’s own animals vulnerable to infection from animals being brought in. So it seems that there’s room for improvement in this area, to better understand it and make the prospects for the dogs coming in better, you know make things so that they stay healthy, and keep the population that you already have healthy. We also found that some organizations said that they had broken off relationships with the shelters that they had taken dogs in from in the past, because those organizations had been dishonest with them. You know, they would say they were getting a Labrador and it’s not a Labrador when they pick up the dog or the dog arrives at their door. And so that’s created problems too. And so another key theme that came out from our study was the importance of honest, clear communication between the organizations that are receiving the animals and the organizations that are sending them out. Zazie: And sometimes if an organization is thinking of setting up that kind of program, especially if they’re bringing in dogs from overseas perhaps, local people might be concerned or express a worry that local dogs might suffer as a result. Do you think that’s the case or not? Christy: That’s definitely a concern brought up quite a bit in discussion of the animal transport. And it seems to be it depends on the location of the organization bringing in the animals and the demands on their system from the local dogs. And so one argument that people talk about is how bringing in dogs from elsewhere often helps diversify the population of dogs available for adoption. So for example, in many parts of the north-Eastern United States, there isn’t the large number of dogs coming in from the local community to the shelters. And of the dogs that are coming in, there’s not a lot of diversity in terms of the size of the dogs or the breeds of the dogs. And so bringing those animals in from the South or from certain other parts of the world might increase that diversity. I think also it’s tricky because, you know, breed and size of dog aren’t everything, and so having an understanding of dogs’ early life histories when possible is really important. And you know, making sure that the people that are sending the dogs out are sending out good representatives from their community. Because definitely there have been organizations as well that relationships have broken up over sending really adorable dogs that don’t have adorable personalities. Zazie: Oh dear. So you mentioned Labradors… dogs being described as Labradors when they weren’t necessarily Labradors. And one of the studies you did a few years back was actually about Pit Bulls, and what shelter workers recognize as Pit Bulls. And I found that really interesting, because I come from England which has Breed Specific Legislation and Pit Bulls are not allowed. But sometimes here at the shelter where I volunteer, I find that people describe a dog as a Pit Bull and I look at it and I think I wouldn’t have called that a Pit Bull, so I found differences. So what did you find in your study? Christy: Well, that study I did with Carri Westgarth who is in England at the University of Liverpool, and if you don’t mind I’ll tell you the back-story of how we came up with the idea for the study. So the next day we kind of both had thought about it a little bit, about that conversation, and approached each other with this idea that we should really look at this, at cross-cultural differences in what is considered a Pit Bull. And especially if something is being legislated against, you would think there would be a common definition, when lives are on the line especially right? That people would have an idea of what they’re talking about. 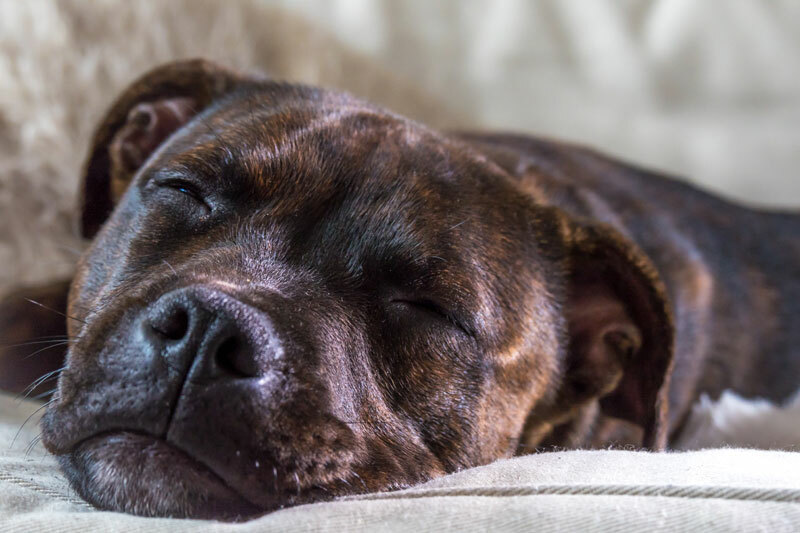 And so we found that in the United States Pit bull is a much broader category; a lot more dogs fall into the category of Pit Bulls than is the case in England. But even so there’s a lot of diversity in the United States in terms of what’s considered a Pit Bull. 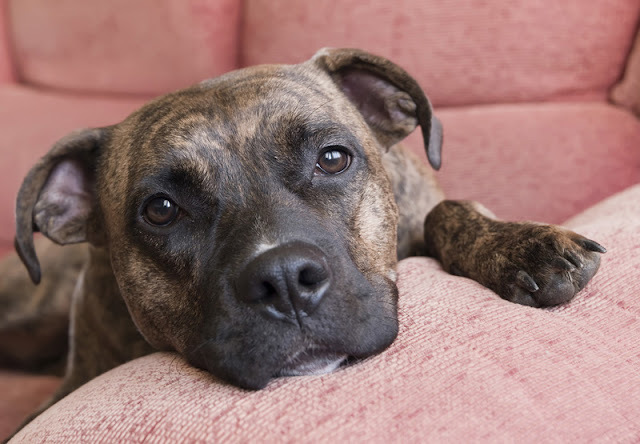 So it’s not that everybody in the United States agrees that a particular dog is a Pit Bull, there’s still a lot of disagreement about whether a particular dog is a Pit Bull or not. Less so in England, and as you might have guessed from that initial conversation that I had with Carri, in the United States we tend to consider the Staffordshire Bull Terrier to be a Pit Bull, and in the UK they are distinct from Pit Bulls and not included in the Breed Specific Legislation in the UK. Dr. Christy Hoffman with her dog Santiago. Photo: Stephanie Handley. And also for the study, we looked at the laws in various parts of the United States where there is Breed Specific Legislation, and I was thinking certainly they must be defining, again, Pit Bull in the community; even if it varies community to community they must have some definition, they must have some way to categorize or classify these dogs. But really the language in these laws tends to be written very loosely and there really weren’t clear-cut descriptions of what these communities mean by a Pit Bull. Which was pretty eye-opening and surprising to see. Zazie: It is actually, yeah it is. So, right at the start of this interview you mentioned having done primate research in the past. How and why did you move from primates into working on dogs? Christy: Yeah, so… I have to get this suitable for public audience! So I actually started studying non-human primates when I was in college. 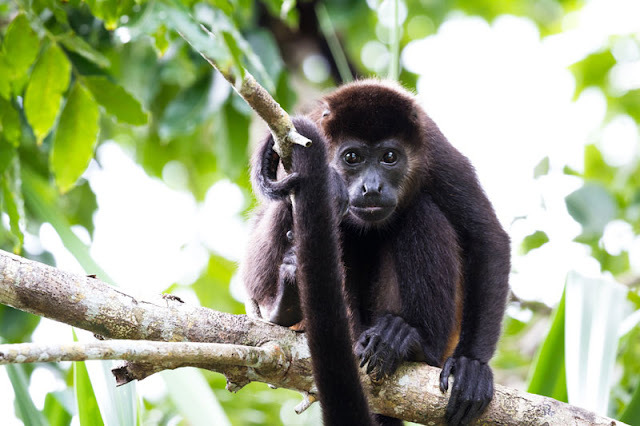 I studied howler - mantled howler - monkeys that are in Nicaragua after my sophomore year of college. And I knew that animal behaviour was something that was pretty cool to me when I could go to Nicaragua for a month and watch howler monkeys sleep in the tops of trees for hours on end and I still loved it. There were times when I didn’t know if I was watching a howler monkey or a termite mound, because they move about the same amount. Christy: And I still thought it was super-cool. And so the next summer, before senior year of college, I was selected to be a research assistant in Puerto Rico on an island called Cayo Santiago where there are about 1200 rhesus macaques living on this island, free-roaming. So I was a research assistant on the island for the summer. And rhesus macaques are on the opposite end of the spectrum of active compared to howler monkeys, they’re all over the place. And so I really enjoyed that work and I took a year off after undergrad, but a few months of teaching ninth grade made me know I wanted to get back in to school as a student. "There were times when I didn’t know if I was watching a howler monkey or a termite mound, because they move about the same amount." So I applied to graduate school programs and was accepted into a program where the person who became my advisor was wanting to do more and more research on this island where I’d done the research in Puerto Rico before. And during my time in Puerto Rico both as an undergrad and grad student, I was fascinated and distressed by the number of stray dogs living in Puerto Rico. People forget I think that Puerto Rico is part of the United States but it’s so different also from, at least the parts of the United States that I’ve lived in. And so it was very eye-opening to me to see that people had very different relationships with dogs than again what I had experienced. And I, you know, wanted to save as many dogs as I could while I was there, so I would chase monkeys around during the day and then in the afternoon and evening try to help dogs in various ways, shuttle them to the vet clinic or administer some medications or organize a spay/neuter clinic, or find places in the United States to send these dogs. So I had first-hand experience of the transfer process! But I also could see that for some people, like if you’re trying to run a restaurant and there are stray dogs milling about in front of your restaurant, it’s going to be hard to keep your client base. People don’t want to leave a restaurant and be mobbed by dogs that have sad-looking eyes and that are sick, or that are trying to jump on them and grab their leftovers. And so I became interested in human-animal interaction as a result of seeing all of this while I was in Puerto Rico. And as time wore on I became more and more interested in this, and the monkeys – I had to get my dissertation so I kept working with the monkeys, but in my mind in some ways they were taking a back seat to my interest in the human-animal relationship and dog cognition as well. And so I was actually fortunate to have a post-doc where I could apply what I had learned about animal behaviour, in my case studying monkeys and hormones as well, and transition over to studying the human-dog relationship thanks to funding from the Waltham Foundation and the National Institutes of Child Health and Human Development. So I was able to finally make that leap as a post-doc when I’d been kind of wanting to for years. And then a few years after that, I was able to take this job here at Canisius College where my work continues to look at both sides of the human-dog relationship, where I teach a canine class to undergraduate students but I also teach a class to graduate students called Psychology of the Human-Animal Bond and another class specifically on shelters. So it’s a dream realized to be able to do the research that I’ve been wanting to do for a long time and also to be surrounded by students who share those interests as well. Zazie: That’s fantastic, and it’s a very highly-regarded program in Anthrozoology at Canisius as well isn’t it?! So why do you think Anthrozoology is such a popular and such an exciting field at the moment? Christy: Yeah, well I think there are a lot of reasons. 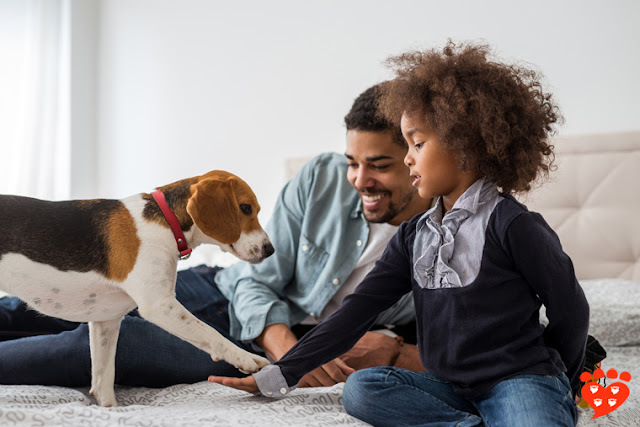 I think the rise of popularity of animal-assisted therapy has piqued a lot of people’s interest in wanting to know more about human-animal relationships. And also kind of the increase in prevalence of service dogs, emotional support animals as well, and learning more and more about the various jobs that dogs – and when I say dog I mean animal half the time – and other animals can do and ways they can help people. And then there’s also increasing concern for the welfare of animals that are used for human benefit, including lab dogs, farm animals, companion animals as well. And so that’s also an important focus of the Anthrozoology program here at Canisius. And we also extend out so they can learn about wildlife in our program as well, and human-wildlife conflict and also ways that humans might be able to help or benefit wildlife as well. "We do some number games with him, and test out his olfactory abilities, and more often than not he cheats or thinks of problems in a way we hadn’t thought about them and demonstrates that we have to re-think our methods!" And so our program really does look at human and non-human animal relationships from both perspectives, the human side and the non-human side. And we find that people are interested in all these aspects of animal welfare, and the benefits to humans that animals provide, and so with the changes to the climate and everything I think that’s also put human-animal interactions and relationships on people’s radar as well especially regarding human-wildlife conflict. Zazie: And so we’re getting near to the end, so a slightly personal question but not too personal: Do you have any pets at home yourself? Christy: Yes! 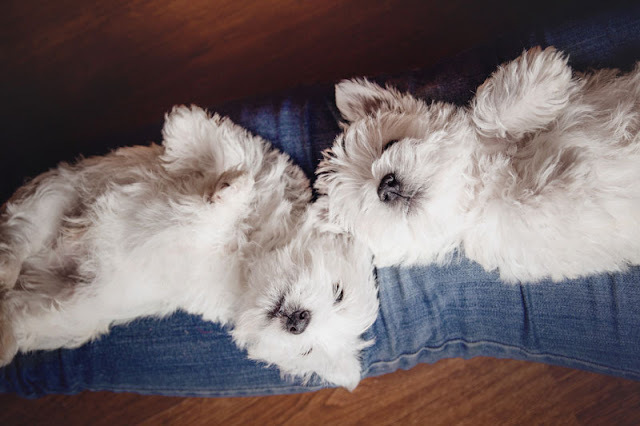 I have two dogs that – I do want to defend myself and say that I have successfully fostered dogs before, so I’ve brought dogs into my home and they’ve been adopted into other homes. But the two dogs that I have are both foster failures. So Grizzly is about ten years old, everybody thinks she’s a boy but she’s a girl, so Rottweiler-Shepherd mix we think. And she’s our Steady Eddie, like she is an excellent dog, just don’t ask her to solve any cognition problems! She just walks into her crate when you try to ask her to do anything slightly challenging. And she would totally fail a detour task, but she’s excellent and really great with our 2-year-old human daughter. And then we have Santiago who is a Pit Bull mix. I actually snuck his photo into the Pit Bull study that we did years ago, to see what people thought about him. And so when people ask me what breed he is they really regret it, because I start sounding off, like “this percentage of people in England think he’s this… and people in the United States think he’s this…” But he’s great. He actually does like cognitive challenges so he comes with me to Canisius several times a year for my research methods class so that we can try to figure out what’s going on in his head and we do some number games with him, and test out his olfactory abilities, and more often than not he cheats or thinks of problems in a way we hadn’t thought about them and demonstrates that we have to re-think our methods! So I’ve got two dogs. And then we have a parakeet who we found as a stray a few years ago. So that’s our household. Zazie: Brilliant! Thank you very much. Is there anything else that you would like to say? Christy: Well, again thank you so much for all of your constant work. I see how often you’re posting to Companion Animal Psychology and sharing things on the Facebook page as well, and it’s such an important service. And like I said, especially for those papers that we publish that are behind a paywall, you do such a great job and you’re so responsible about the way you communicate the science. I really, really appreciate that because, as you know not everybody does report things responsibly or very accurately and so I appreciate that. I’ve been so excited to be able to talk to you actually, email’s fun but it’s nice to actually talk to you as well. Zazie: I’ve been really excited because I really admire your research and also so much of it is so useful and relevant to people, as well as being interesting and fascinating and well-designed. So I’ve been really excited to talk to you and probably I could talk to you for hours, but that would be too much to go on the blog! Thank you Dr. Christy Hoffman for taking the time to talk with me and for a fantastic interview! 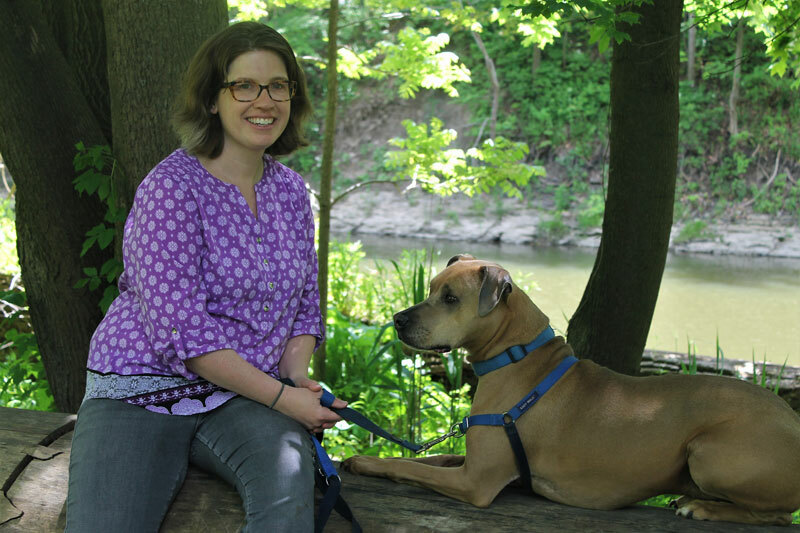 About Dr. Christy Hoffman: Christy Hoffman is an assistant professor in the department of Animal Behavior, Ecology, and Conservation and directs the Anthrozoology Master’s program at Canisius College in Buffalo, NY (USA). 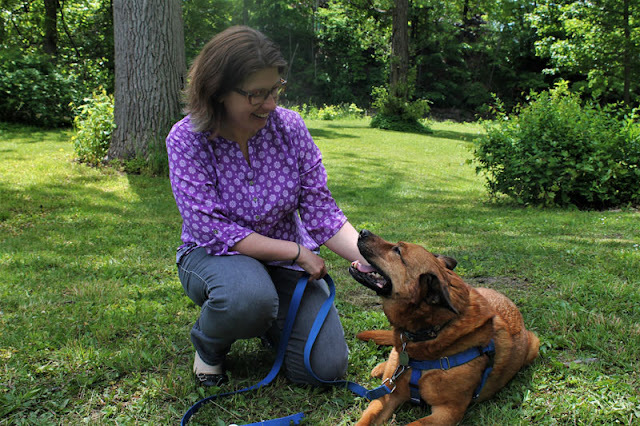 In addition, she runs the Canisius Canine Research Team, which can be followed on Facebook. 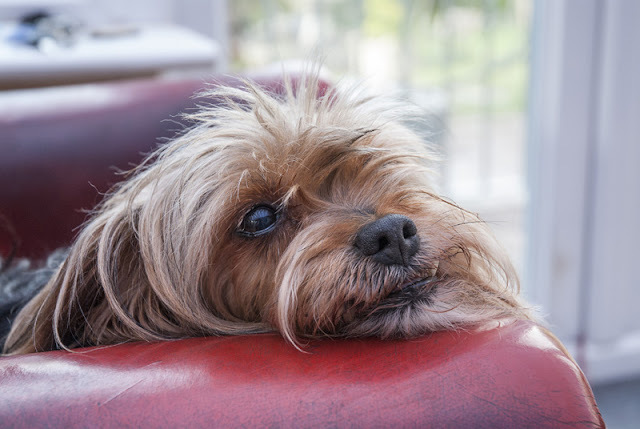 Is attachment to pet dogs linked to their behaviour?